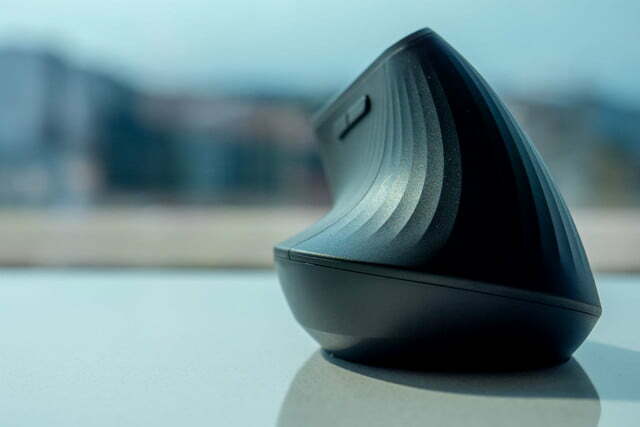 The idea of the ergonomic mouse has always been a smart one. However, because they’re often ugly and take a lot of adjustment before the ergonomic benefits kick in, they never went mainstream. Now, Logitech has announced its first true foray into upright mice with the MX Vertical, a stylish PC peripheral made specifically for comfort and reduced muscle fatigue. Logitech has previously implemented these type of features in mice like the MX Master 2 or M570, but the MX Vertical takes ergonomics to another level. 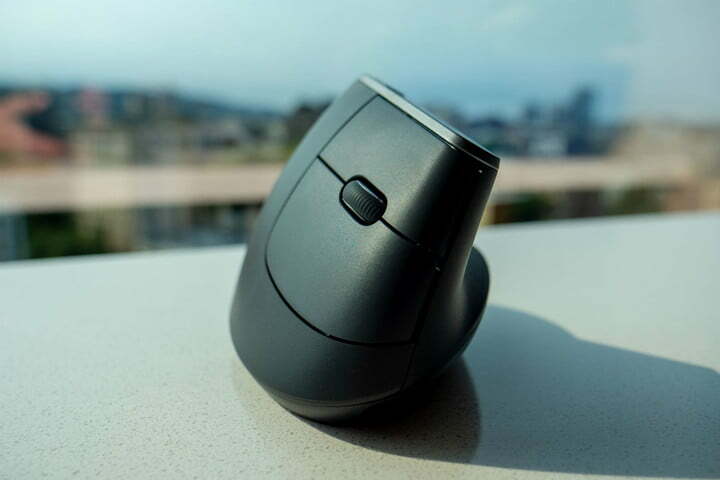 If you’ve never checked out an ergonomic mouse before, you’ll do a double take when you first see the MX Vertical. 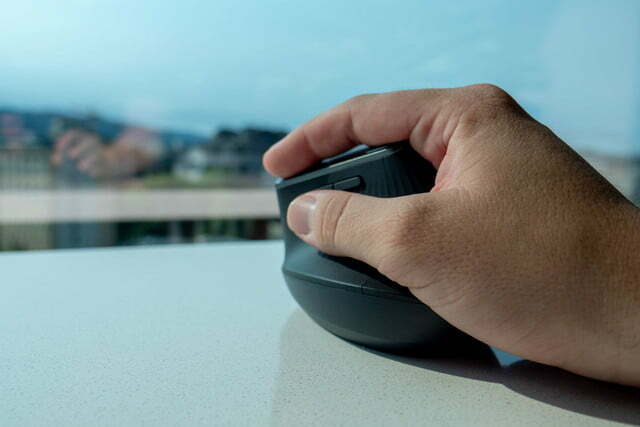 Rather than sit flat like a standard mouse, the center of the mouse contorts and rises up like the curl of a wave to fit right between your thumb and index finger. Logitech says the design of the mouse is meant to simulate a “natural handshake position,” which can help with reducing forearm tension during long sessions of computing. 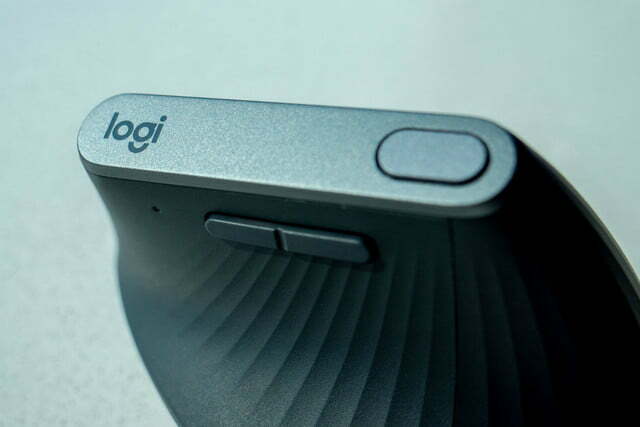 Logitech claims a 10 percent reduction in muscular strain. We’re not quite how something like that can be measured, but we noticed the comfort right away. It took some getting used to, but within 10 or 15 minutes, we snuggled nicely into the more natural angle the MX Vertical provides. 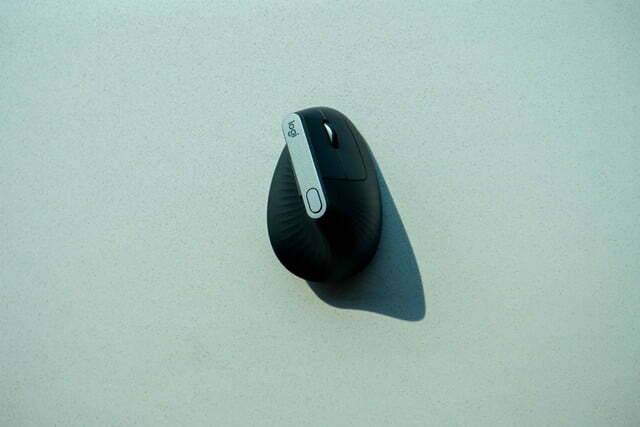 Some ergonomic mice that stand completely vertical aren’t quite as functional in daily usage. The 57 degree tilt isn’t as extreme an angle as some ergonomic mice, but it nails the balance between performance and comfort. 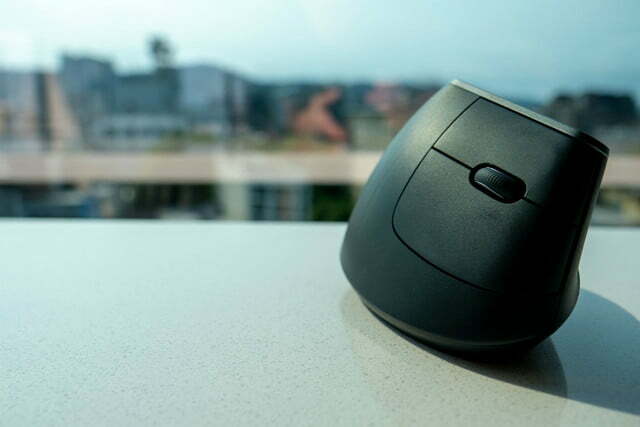 Logitech says the mouse is meant to work with a wide range of sizes and hand shapes, though due to the nature of the design, your mileage may vary. The size of my hands allowed my wrist to rest naturally on the desk, though a small hand might fit the actual curve of the tilt even better. The mouse is also wrapped in a textured, rubber grip that adds an additional aspect of comfort and visual flair. The combination of rubber and aluminum gives the mouse a durable, premium feel that helps it stand out from the heaps of cheap plastic peripherals that typically fill our desks. It also keeps the mouse from looking like a disgusting fingerprint magnet. Perhaps it goes without saying, but tracking feels precise and accurate, thanks to Logitech’s high-quality sensors. There are a variety of ways to connect the MX Vertical to your computer, whether it’s Mac or Windows — and all worked quite seamlessly. It can handle wireless either through Bluetooth or with the USB receiver, and it can also be plugged in with the USB-C cord included in the box. Logitech claims the mouse can last for four months on one charge of battery, so you shouldn’t have to worry about charging it all the time. The MX Vertical is priced at $100. It’s available for presale today and goes on sale in September.